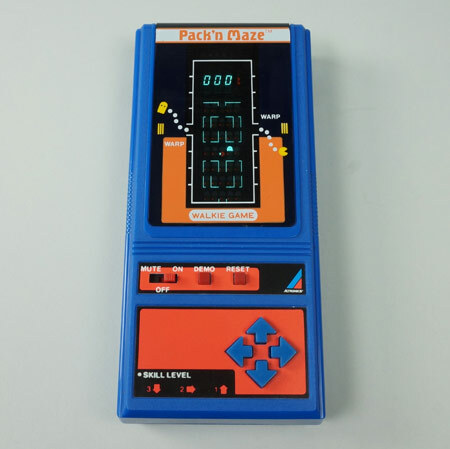 This is a flat VFD Walkie Game game. It can be carried around with the special strap. 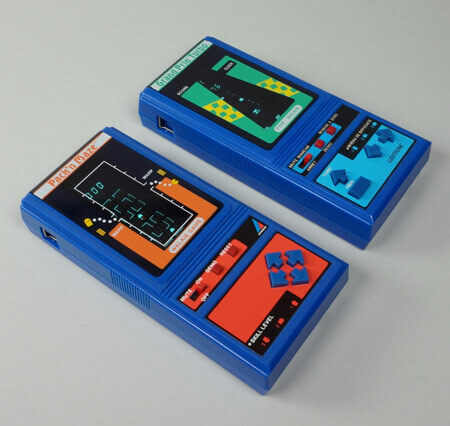 The game itself is identical to the tabletop Pack 'N Maze. Instead of 4 C type batteries, it operates on 4 AA batteries. 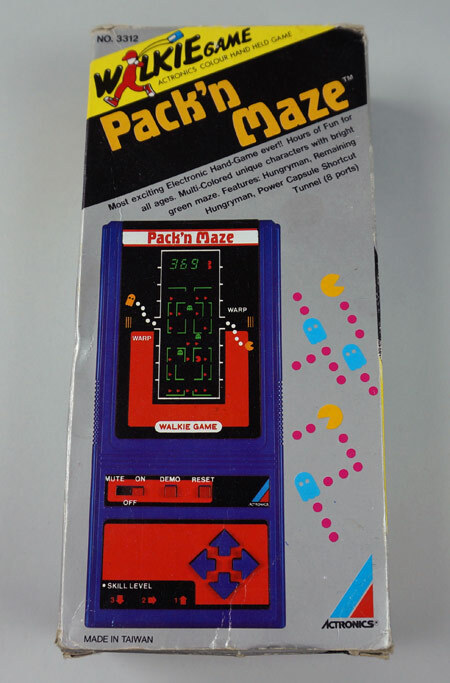 Instructions label: Puck 'N Maze (#3312) © 1982 HANZAWA Corporation.